Usually when you think of a superhero movie, you think of a hero who discovers his powers and uses them for good – but what about a super villain movie? I’m not talking about an anti-hero movie such as The Punisher, but rather a film based solely on a villain(s) to one of the most noticeable hero’s ever. Well, that’s exactly what Sony is planning in their upcoming spin-offs for The Amazing Spiderman franchise – Venom and The Sinister Six. Movies such as these would be unprecedented – or at least a successful one would be. So what are the odds of them being hits? Well, let’s take each on its own merit. 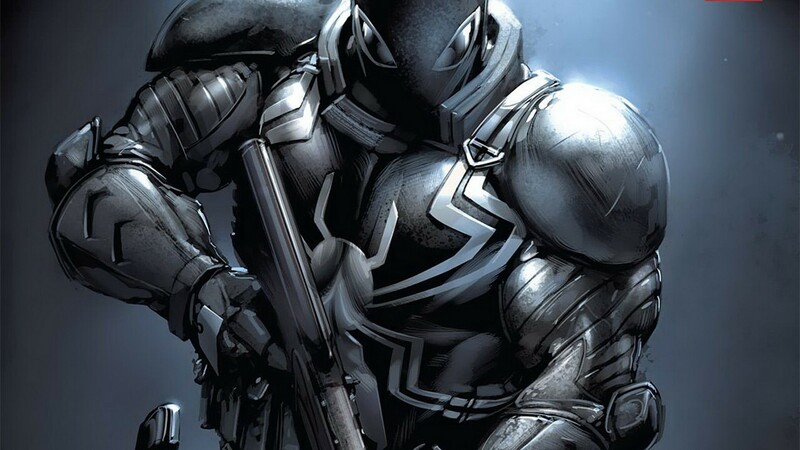 Recently, I looked into the story of Venom – whom you might recall from the God-awful Spiderman 3 – and I’ve found that he is in fact a much deeper character than most give him credit for. For example, did you know he became an agent for the U.S. government? Venom has tons of layers to him – both the alien symbiote parasite and the person chosen as its host. A movie with him wouldn’t necessarily have to tell the story of a villain. Beyond his murderous hatred for Spiderman – which is only due to him feeling rejected – he actually isn’t that bad. In fact, the alien symbiote was deemed insane by its own race for its preference to permanently bond with a host rather than drain/kill it. Add that in with whomever they choose as host and you can get some interesting storylines. One such host was Flash Thompson, a fellow classmate of Peter Parker/Iraq War Veteran who lost both of his legs in combat. A movie with these two could actually turn this once exclusive villain into quite the admirable anti-hero. Unlike the first spin-off, a spin-off for the Sinister Six would be almost impossible to frame in an admirable anti-hero sort of way. The Sinister Six are a group of villains who band together for the sole purpose of defeating Spiderman. We already know they can’t win – unless Sony wants to kill off the character who started all this – so how can they go about it? Well as I mentioned in my last Spiderman article, there are mentions to Doctor Octopus, Vulture and Kraven the Hunter – all of whom were founding members of the Sinister Six along with Electro (who happens to be the main villain of The Amazing Spiderman 2). Though despite these mentions, I still feel there won’t be sufficient lead up for them. This would basically suffer the same problems as The Man of Steel sequel Batman vs Superman, which is for all intensive purposes a Justice League movie. Yes, some characters might be alluded to or have a purpose, but we haven’t spent enough time with anyone of them to have them share the film equally. Of both of these spin-offs, the writers will have the biggest challenge here. Perhaps this movie is a set up of sorts and it’ll directly lead into The Amazing Spiderman 3 – or 4. These spin-offs would not only suffer from the difficulties of changing the hero/villain dynamic, but also the same problems that Batman vs Superman and its spin offs would suffer from. Fracturing off a movie into spin-offs will always be tough if the franchise is new. To be fair, these villain-based spin-offs would give it more of an edge over the Batman vs Superman ones. A Venom movie would have the potential to be huge and could even set the stage for other villain-based movies – such as a Loki centered Marvel film that fans have been dying for. Venom doesn’t have the fan base of Tom Hiddleston’s Loki, but he could still do quite well. On the other hand, a Sinister Six movie would have the same problem as Batman vs Superman by not properly giving enough background info for the cast of this massive group movie. Whatever happens, remains to be seen. Although, if Sony can pull this off there is no telling what doors this can open up. I’m still surprised that Marvel didn’t think of this first considering they have much more iconic and memorable villains, but maybe they know something Sony doesn’t know. Either way, this was a daring move by Sony and certainly gives them extra credit. Even if these films do flop, they will never be seen as just another Avengers copycat.